AND 1st leg of UTILITY! 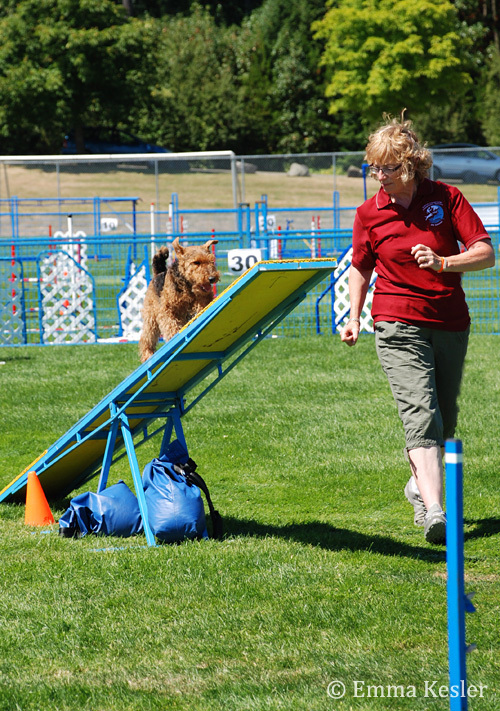 Emma Kesler, a very interested (and talented) pet owner in the breed in Vancouver, and a friend of both mine and Peggy's attended this agility event, took photos, and documented it on her own website blog. (I highly recommend this blog, it is very well written - as all of Emma's blog articles are. In fact, this blog is on my personal reading list). 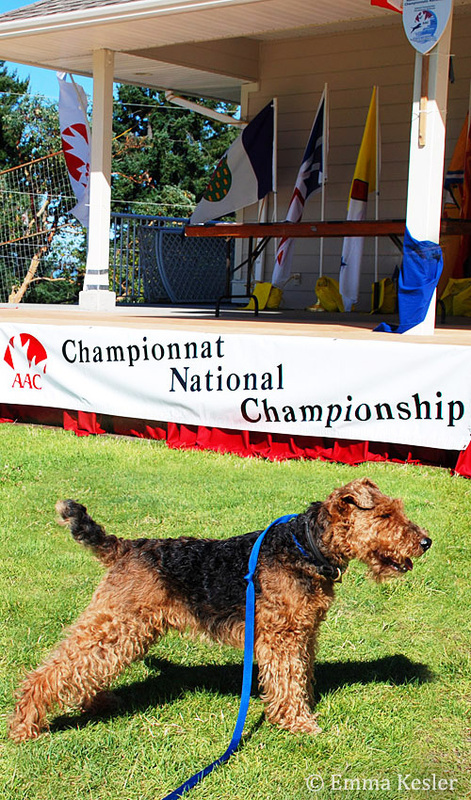 And here are a few photos from Emma of 9 year old Dylan at this (by inviation only) National Agility Championship Trial event with his handler, and buddy, Peggy! He gets the same teeter-totter though! And, he has no problem with it. And, what he is very well known for (but what most people despise!) - the WEAVES! This has been a lot of hard work for both Peggy and Dylan, but it sounds like it has been lot's of fun and she has met some really great people! 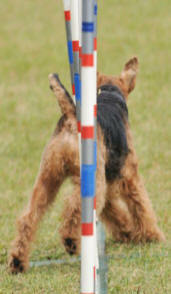 And, similar to my conformation showing, these are true team sports where you and your dog work together. 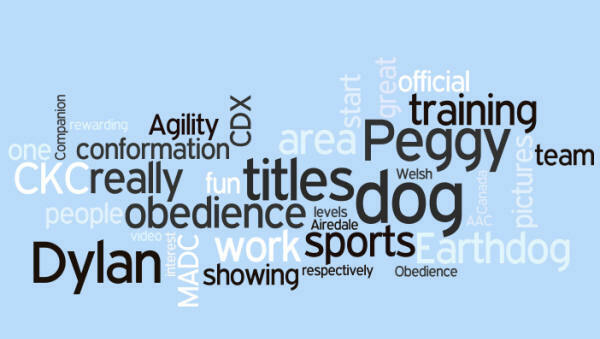 Peggy uses positive training methods and clicker training. 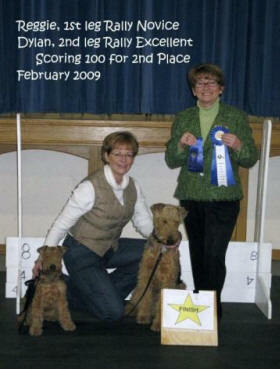 Please visit her website for more pictures, information and updates to what she and Dylan are doing! The pictures and video clips are amazing! 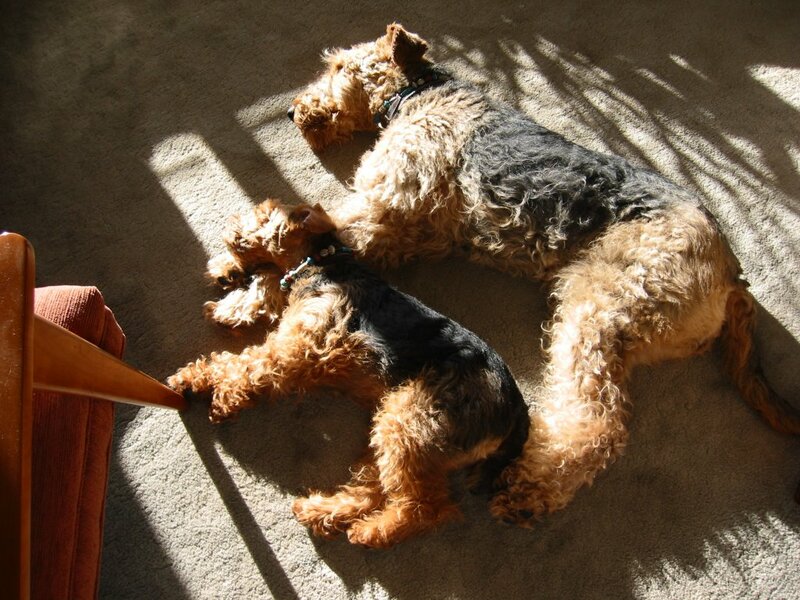 You'll also discover on her website that Dylan's not the only Black and Tan in the household - she also has an Airedale that is proving that both terrier breeds work well! 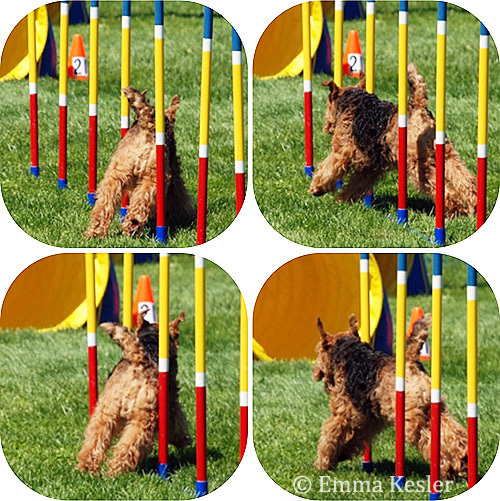 I really do encourage you to check out her website and these various dog sports. 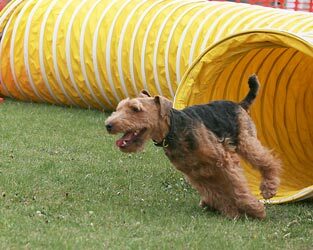 Perhaps start with Rally-O, then try Agility and Earthdog ... if you get really motivated, then the official obedience training is also a great team dog sport! 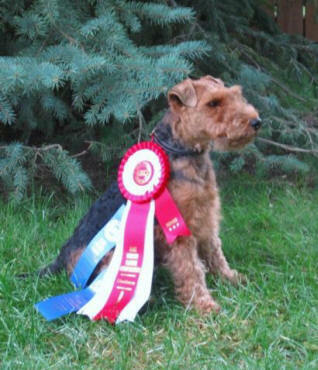 And, of course, conformation showing is also a lot of fun and can be very rewarding. If you are possibly interested in this area, please give me a call and we can talk about what is involved for trimming, presentation and travel. 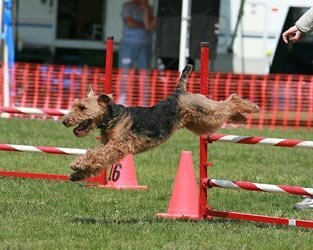 Some say that terriers can't be trained - Peggy and Dylan prove that it IS possible! 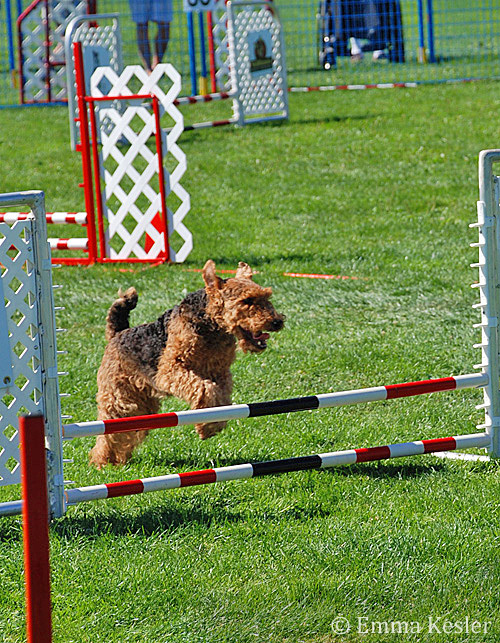 Perhaps one of these dog sports would interest you? 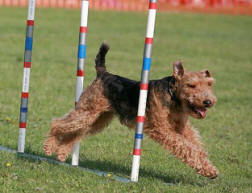 Check out your local dog clubs to see what is available, people are usually more than happy to help newcomers. Note: All agililty pictures are from A Sharper Image.